Cult Islay single malt Ardbeg has announced its latest Committee release – a 21-year-old whisky bottled to mark some of the most turbulent times in the distillery’s history. Ardbeg owner Moët Hennessy said Ardbeg Twenty One, bottled at 46% abv, non chill-filtered and priced at £310, was ‘testament to the dedication of those who fought through the distillery’s darkest days to keep its untamed spirit alive’. 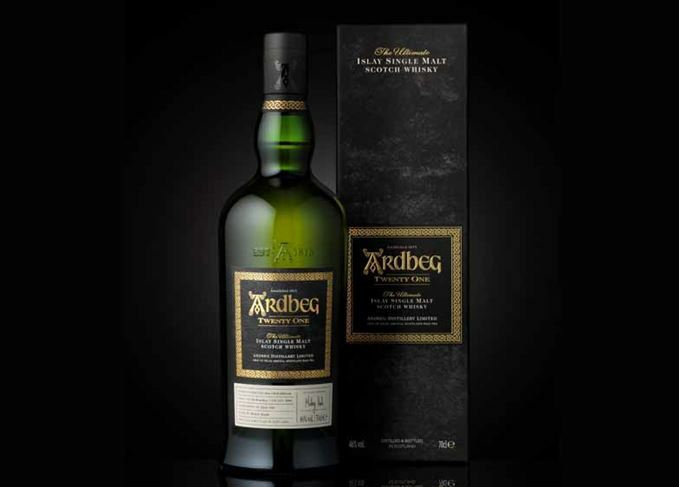 The expression, which goes on sale on 21 September, will be available exclusively to members of the Ardbeg Committee – a global movement of some 120,000 Ardbeg enthusiasts from more than 130 countries. The whisky recalls some of the darkest days in Ardbeg’s history: the distillery was closed for much of the 1980s and fell into a dilapidated state, producing a small amount of whisky mainly for blends. Ardbeg closed again in 1996, but was revived when bought by The Glenmorangie Company the following year, with French group Moët Hennessy taking over in 2004. In the mid-1990s, the company said, ‘its whitewashed walls were faded and crumbling, and distilling at Ardbeg had dwindled to almost nothing. ‘A small group, including the young Mickey Heads (now distillery manager), set aside a small number of casks, including some containing whisky distilled during those perilous days when the distillery’s future was still uncertain’. ‘Ardbeg Twenty One is a shining example of Ardbeg’s enduring spirit,’ said Heads. ‘I’m so pleased we can share it with our members. Dr Bill Lumsden, director of distilling, whisky creation & whisky stocks, added that he had selected the casks used for the expression to ‘combine the distinctive, peppery smokiness of Ardbeg’s malt with soothing, buttery qualities’. The distillery’s ‘designer cask’ expression is back on the market with a limited release. First expression in new Bond House No 1 collection marks challenging barley harvest.